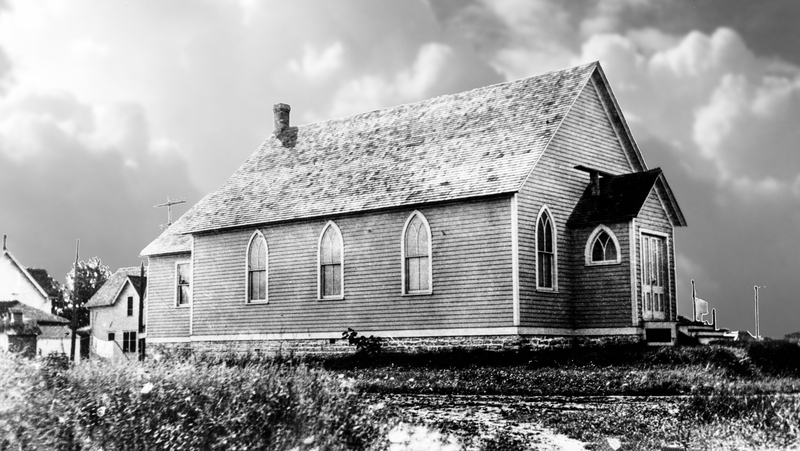 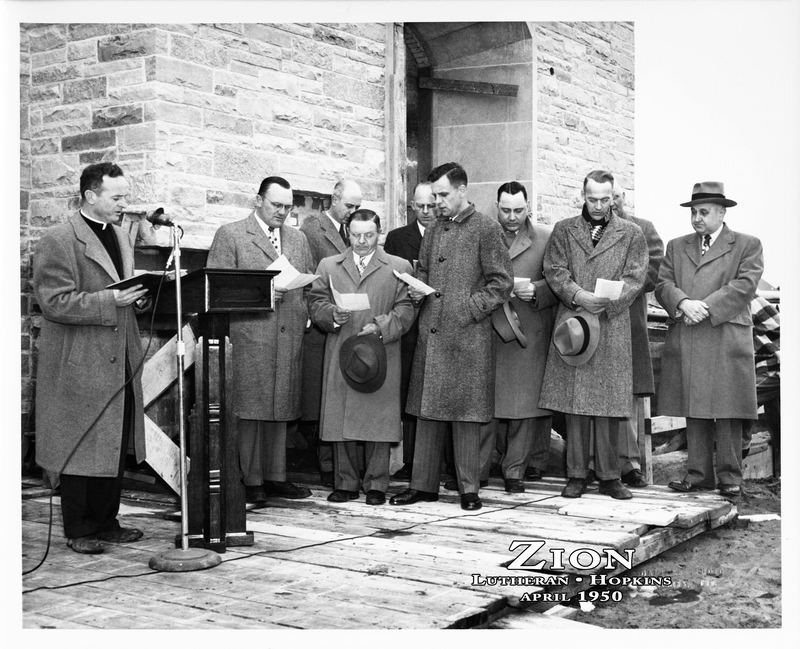 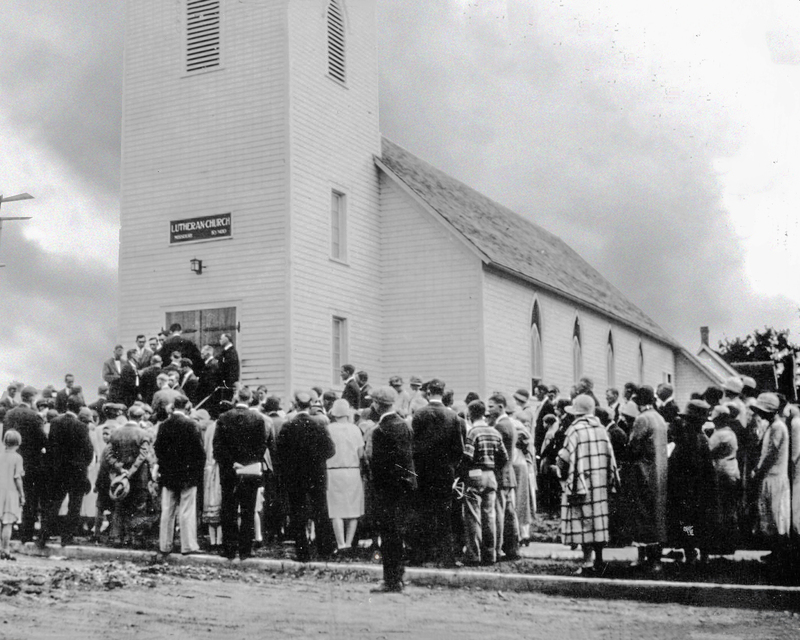 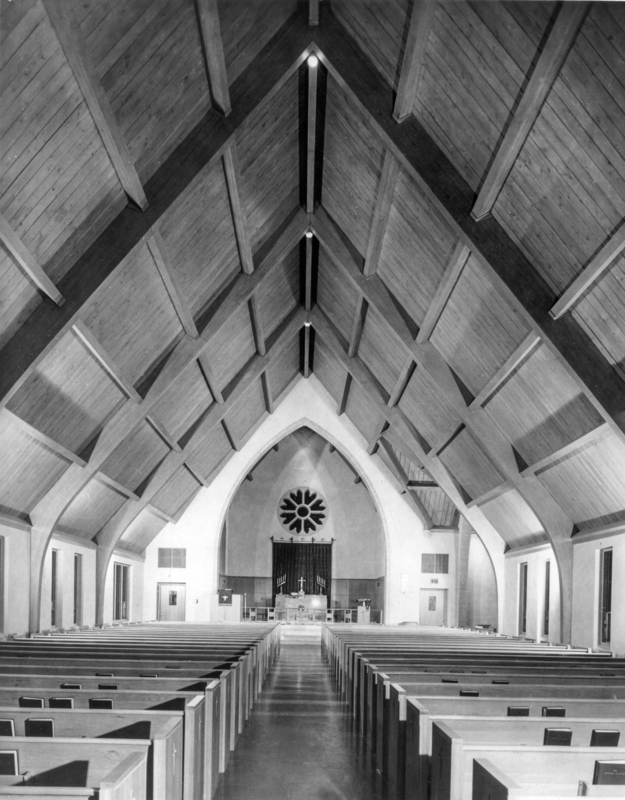 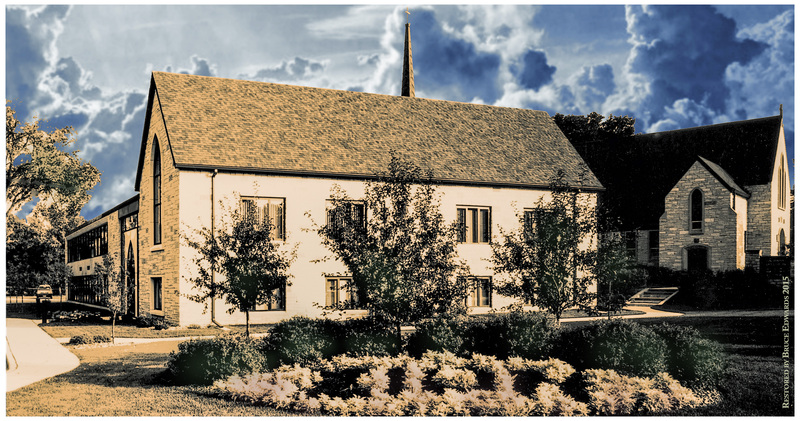 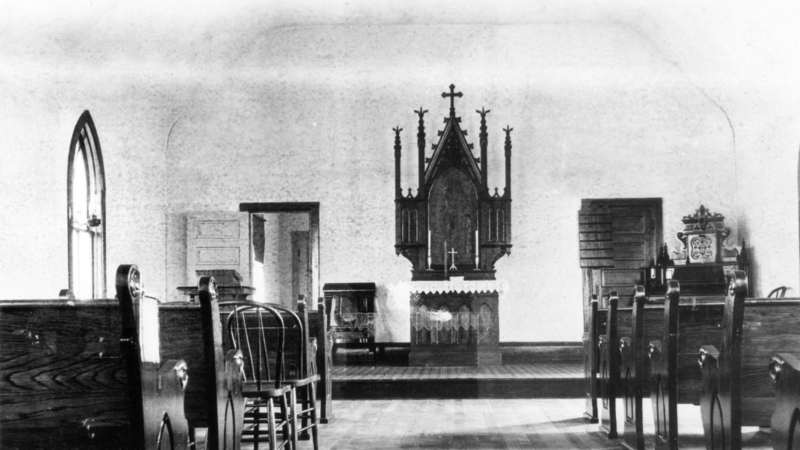 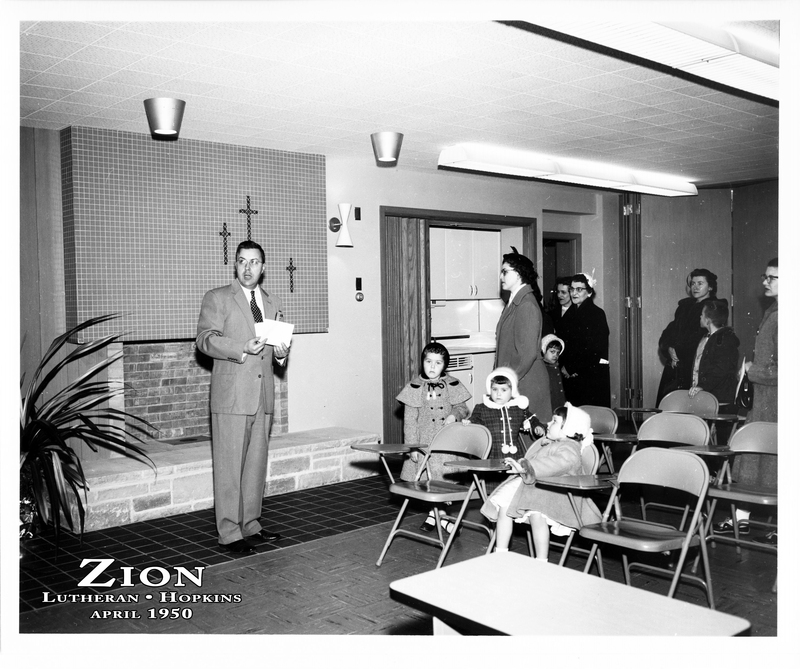 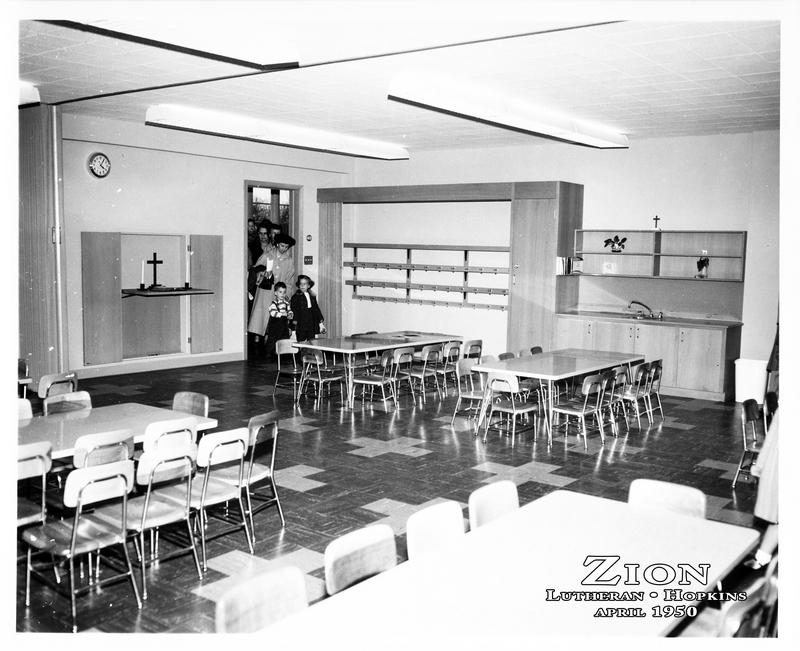 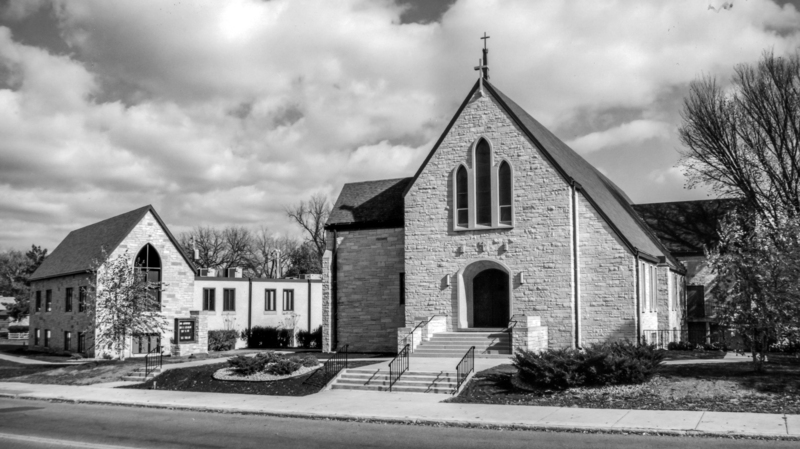 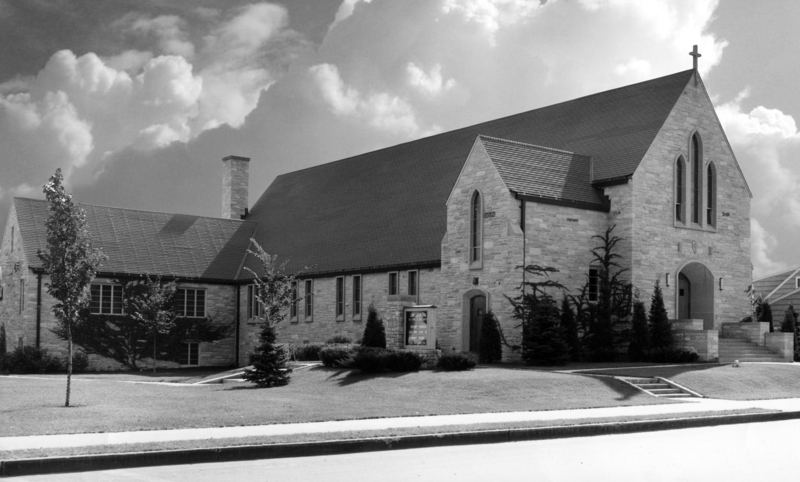 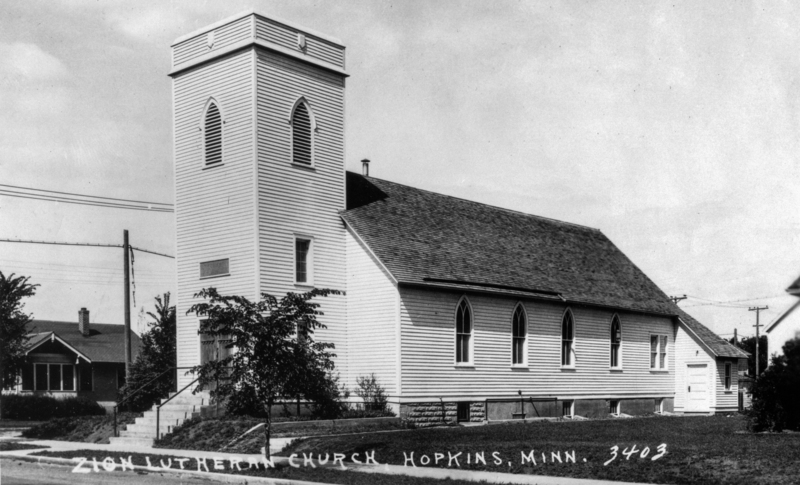 1950 – New fellowship hall. 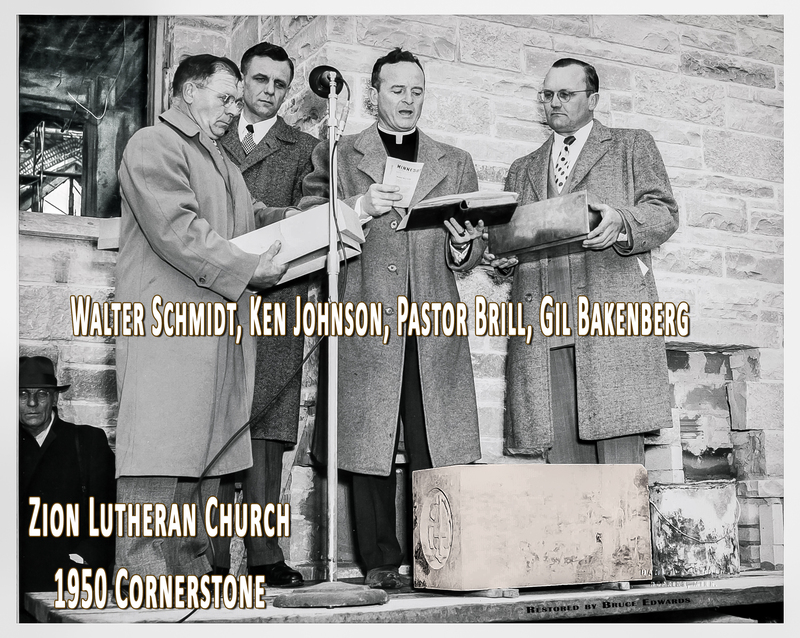 Pastor Brill stands on wood pallets, no sidewalk yet. 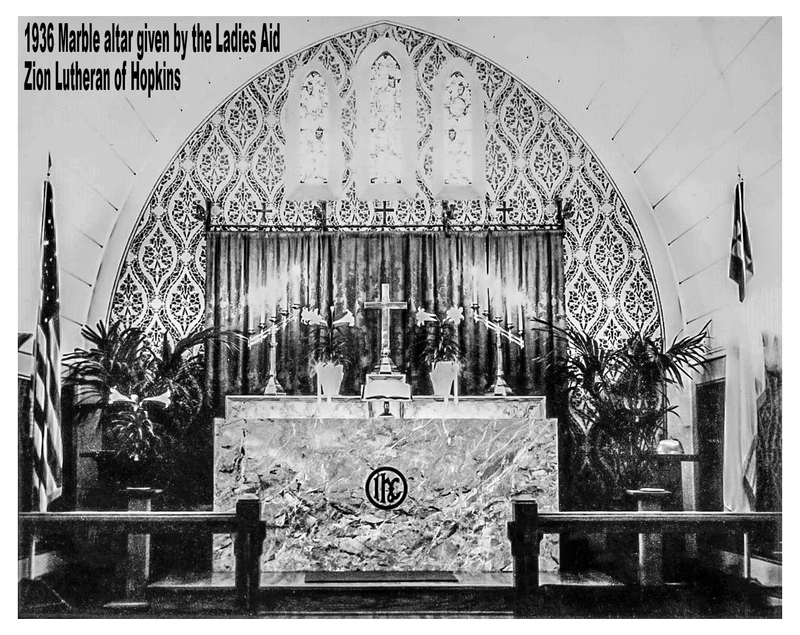 I like the old pictures. 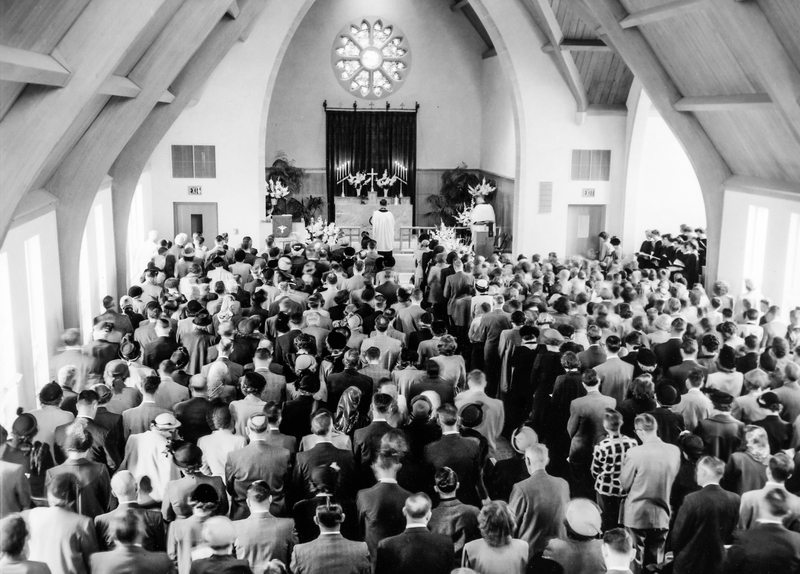 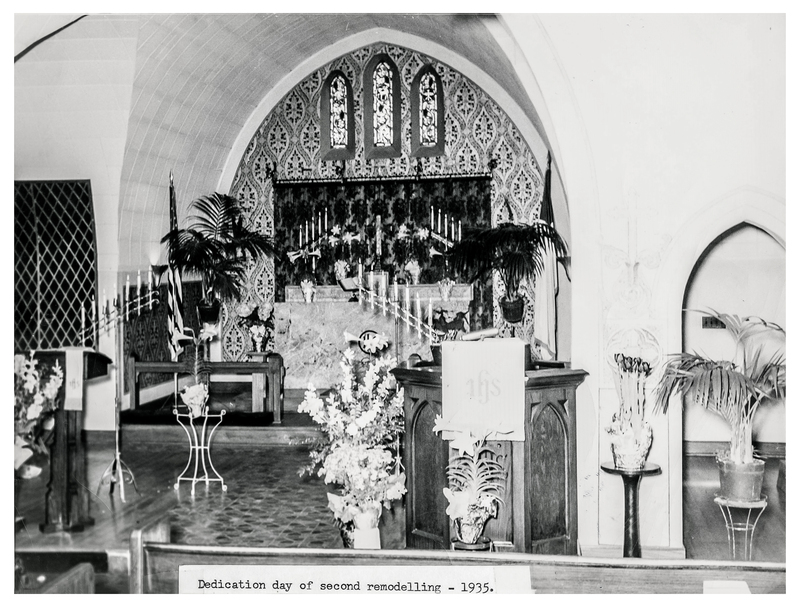 The picture tagged 1950 which shows a full sanctuary is classic. 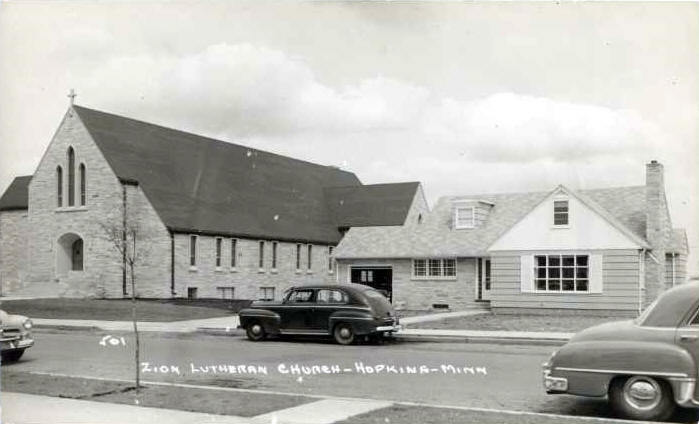 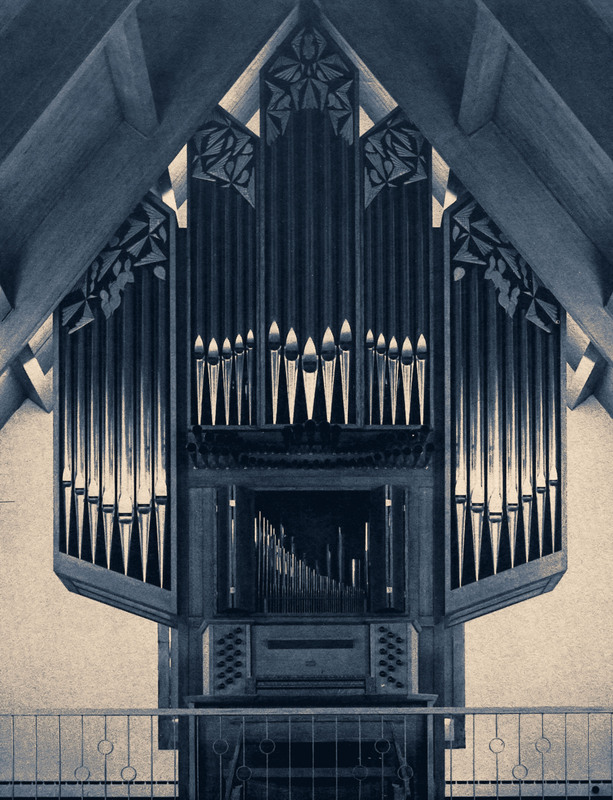 You don’t see that in many Lutheran churches now days if any.